Graffiti mural in Narrm / Melbourne to commemorate Mikhail Zhlobitsky. 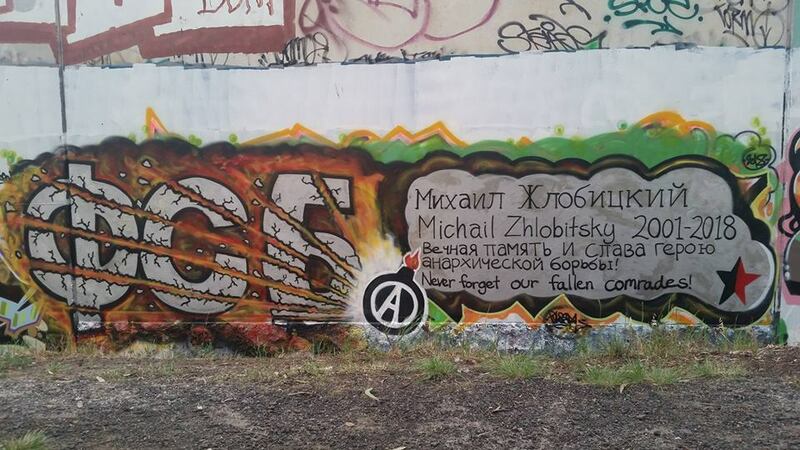 Narrm / Melbourne so-called Australia: Graffiti mural in memory of 17 year old Russian Anarchist-Communist Mikhail Zhlobitsky who died while carrying out an explosive attack against the FSB (Federal Security Service) Regional Headquarters in Arkhangelsk, Russia on October 31st. We (Enough is Enough) need your support: You can support our work by ordering a hoodie or t-shirt in our shop:hereordonate.